As per usual, the Benefit packaging is as cute as pie, meaning that I never want to throw away the outer packaging on any of their products! I've only tried out this product once, and I can already tell that I love it. It's perfect for someone like me who aims to get to bed by 11pm but is still scrolling through blogs and YouTube at gone 2am, as it totally masks your dark circles and reduces the puffiness under your eyes. It's a blending primer (a bit like Porefessional but less thick) which helps reduce the look of puffy eyes. It also contains light-diffusing particles which help smooth away the appearance of fine lines. 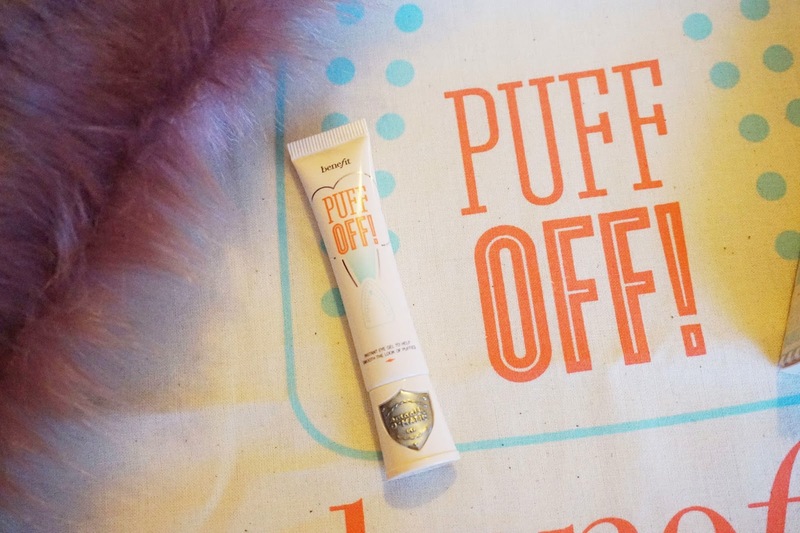 Puff Off is literally perfect for these January blues we all seem to be feeling, when there's no Christmas left to look forward to but it's still freezing cold! I put the product on in the morning, then went to eat my breakfast before getting ready to do my make up, and when I went back to the mirror to check how it was looking I was pleasantly surprised. It hadn't made my dark circles totally disappear, but it had definitely masked them. It had left a lovely matte finish, but is so thin that you can't notice it and no product is left to be seen. It worked as an amazing primer for my foundation and under-eye concealer, and I'm very happy to say that this product works perfectly for me! You do only get 10ml of product in the tube (it's a little bit smaller than the Porefessional), so I'll use it on days when my eyes are looking a little more puffy or tired. It can be used first thing in the morning under your make up to help with morning under-eye situations, but it can also be used throughout the day over your make up to touch up. 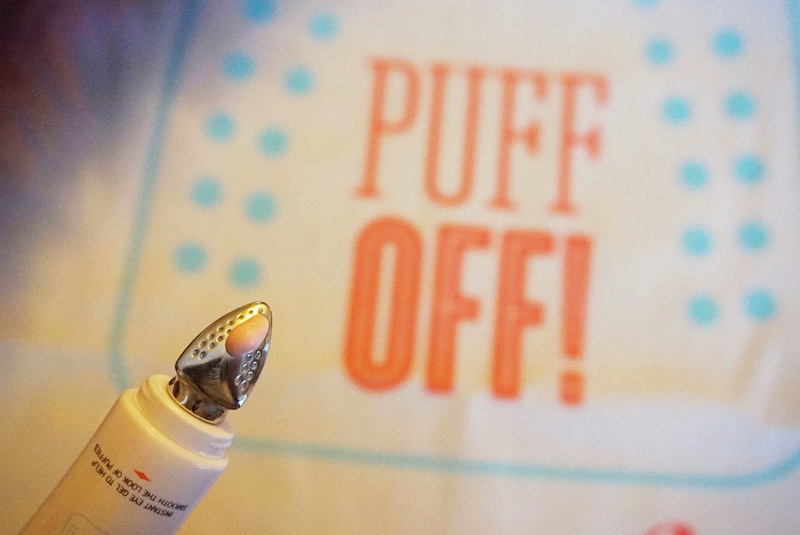 My favourite bit about the whole product is the custom tip which is shaped like a miniature iron to literally 'iron out' your fine lines! It is shaped for the perfect gliding performance and is cool on contact which is lovely for puffy morning eyes. I actually found the shape to be perfect as it gets right into the corners of your eyes unlike the usual rollerball eye gels. It really does feel lovely to use as it's so cold and glides on without tugging on the skin at all, and it's quite hydrating as it sinks into the skin so well. And thank you so much Benefit for sending me this product! Do you like the sound of this product and would you buy it yourself? It launches in stores and online on 31st January! Yes I would definitely recommend it, even in a sample size! LOL, how cute is that tip! Please let us know how it turns out long term. I am in need of something like this! I will definitely be doing a long-term post on this product! Isn't it all just so cute?! Yes it's a great product! I really want to try this looks great! love the cute iron on it. Yes you should definitely try it at some point! This looks like being worth a try! Ooh that custom tip looks nice, I like the sound of it! I've been dying to try this. Love their marketing for it as well! Wow, what a great surprise! 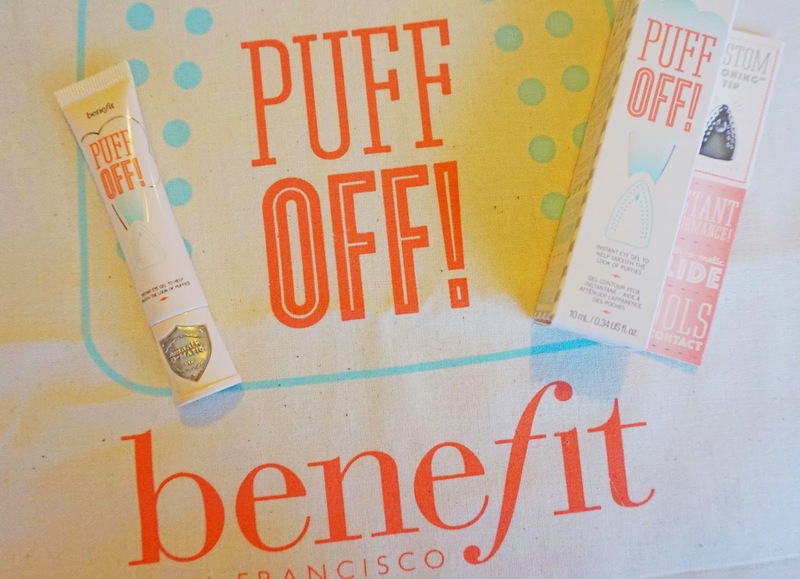 I'm always curious, but how do bloggers get the chance to work with Benefit? Oddly enough, I have never tried anything from Benefit (only a bit of my mine's eyebrow power and wax set), but the quality seems to be great for the most part :) Very cute and colorful packing as well. Ah excellent post! I picked this up yesterday, and was a little unsure if it was needed, but after reading this I will be using it a lot. Super cute product! love Benefit! Hi Danielle, thanks for sharing your blog with the Blogging Gals community. I must say this is definitely one of those must-have products especially in January. Super tempted to order this product right now, it seems great! Good review girl!